On behalf of Todd and Nicole's family and friends we have set up this go fund me page to support the O'Handleys during this difficult time. 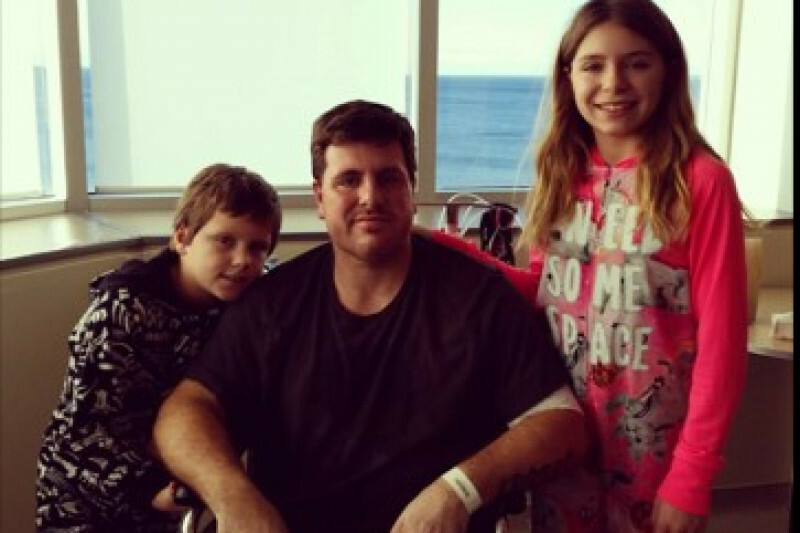 Todd, 34 years old, has been diagnosed with a rare form of cancer - Angiosarcoma. This disease has been quite aggressive and it has left friends and family stunned by the quick-acting and time stealing tumor. Todd has been given a very short time left, esitmated by doctors to be a few weeks, and has been working with palliative care over the last few weeks. Todd has two young children: Hailey and Carter, and a loving wife, Nicole. This go fund me page is being set up to off-set costs for a funeral, support for the family, living costs, and any other expenses needed during this difficult time. Please consider donating any funds that you can and share this page as much as possible. With your support we can ensure that Todd's family can remember Todd the way we all do and not have to worry about the details of finances involved. With much love to the O'Handleys at this time, thank you. As many of know, Todd said his last goodbye to us on February 2nd. We got to say our last goodbye to him on February 7th during a wake and funeral filled with Habs jerseys - just as Todd would have wanted. He will missed so much by family and friends. To Hailey, Carter, and Nicole. Please know that we will continue to support you through these times. Please continue to donate and share. We are almost half way to our goal and in just a short amount of time! Thank you to everyone who has generously donated funds to help the O'Handleys during this difficult time. Thank you to everyone who has shared this link. The more shares, the more donations. Keep the shares going! I'm so sorry to hear the news and I will pray for the O'handley family! May God give you all strength during this trying time. Words cannot express how sad this is. Thinking of you, Nicole, and all of Todd's family. I worked with Todd at the Home Depot for a year and a half and chatted with him everyday we were there together. I always helped him pick his orders just to laugh and talk with the guy and tease him for liking the Habs. Super good guy. Half of the time he would be talking about his daughter Haley and son Carter. All I can do is imagine what they are going through. Nicole, Todds sweet wife my heart is filled with sadness for you. I am at loss of words. Miss you buddy!